Intercollegiate Cake Design Competition (ICDC) is a yearly event that brings together future pastry chefs. Goldilocks invited collegiate schools with HR programs all over the country to battle it out on the kitchen stage this February 25, 2016 at The Block, SM North EDSA. The contenders will be under the expert supervision of top chefs as the latest ICDC will really be challenging. “Having these renowned chefs on board early on will allow the students to learn from the best and most experienced professionals in the industry,” Goldilocks Marketing Director Cherry Caluya pointed out. “lt‘s also worthwhile to note that every region is represented – North and South Luzon, the NCR, Visayas, and Mindanao,‘ she concluded. 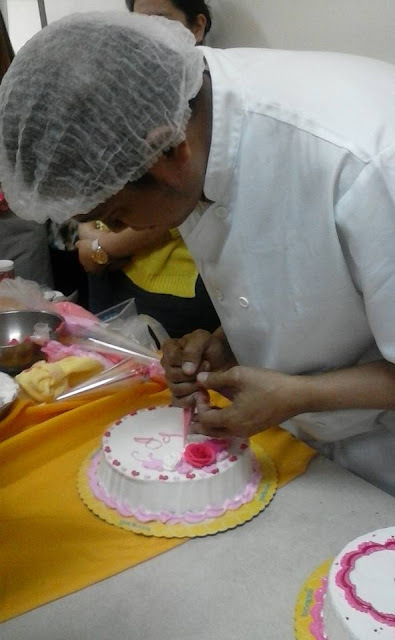 The cake competition provides an opportunity for cake decorating and sugar art enthusiasts to showcase their cake decorating skills under pressure since the qualifying teams are expected to complete their entry based on themes and materials that they’ll be working on patterned after “Iron Chef”. The details will only be revealed to the finalists the minute the contest begins. 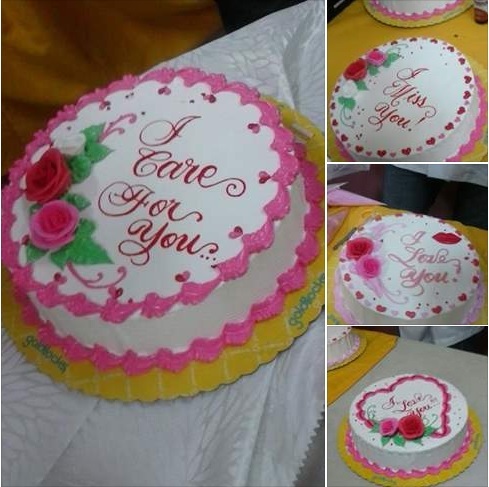 They will be given access to one central supply bin decorative materials (inclusive of sprinkles, candies, toppers and dyes) and will do on-the-spot carving, icing, and decorating a cake that meets the set criteria under time pressure. The team’s imagination, skills and talent will further be put to test as this year’s competition is expected to be more demanding. “This is the 10th year of the ICDC, coinciding with the 50th anniversary or Goldilocks…because of this, I’ve decided to add some major twists. In fact, we’re calling this year’s competition ‘lCDC Xtreme’, explains Cherry Caluya. 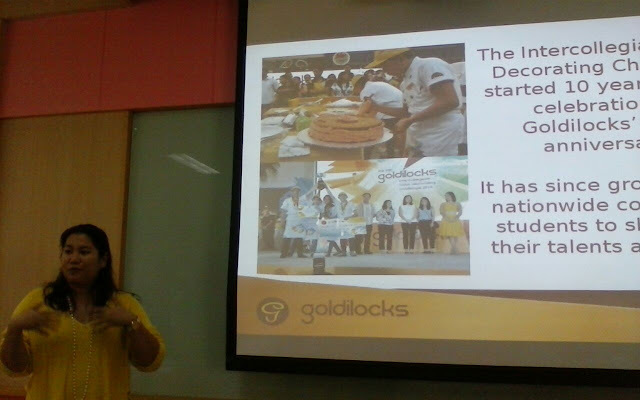 As pastry arts gain more prominence in the country, Goldilocks assure that Culinary Arts students will be given something to aspire for by promoting these disciplines at the student-level. Not only will the ICDC competition boost the pride and esteem of the grand champion from the team entries, the winning school will also receive a baking showcase worth a quarter of a million pesos. 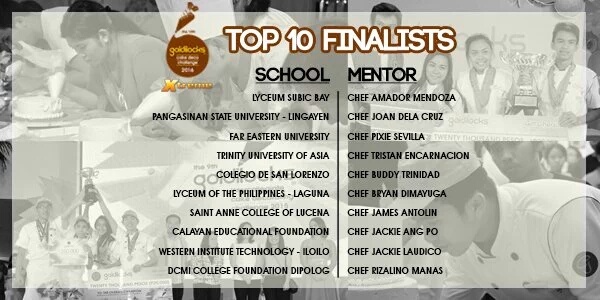 The winning team itself will receive P20,000 in Goldilocks gift certificates during the awards ceremony. Goldilocks challenged the media to step up to an individual cake-decorating competition during a press conference. And so we did! It was fun competing with the other press and bloggers. While my entry was not chosen as one of two best valentine cake renditions. The experience was priceless. The big day also features numerous activities and side attractions. Beginning at 10AM including a similar cake-decorating contest for children dubbed as Goldilocks Junior Cake Decorators will be held. 10 kiddie finalists will undergo a cake decorating workshop during the ICDC event. These kids will them be asked to put up their best DYC cake designs in the Junior Cake Decorators contest. Goldilocks GCs in the amount of P 5000, P 3000, and P 2000 awaits the first, second, and third place winners. Submissions for the ongoing search for the Goldilocks Junior Cake Decorators will only be until February 15th. Interested parents and guardians may email their kids’ Decorate Your Cake (DYC) creations to promo@goldilocks.com.ph for a chance to compete center stage at the 10th ICDC on February 25.